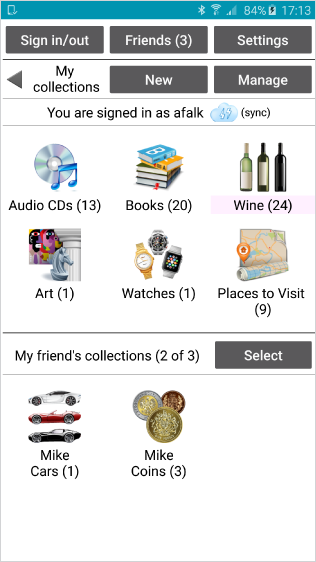 Finally, it’s fun and easy to keep track of your CDs, books, watches, wish lists, and other collections with MyCollections! Since every collection is unique, it’s easy to customize MyCollections to suit the particulars of your keepsakes. 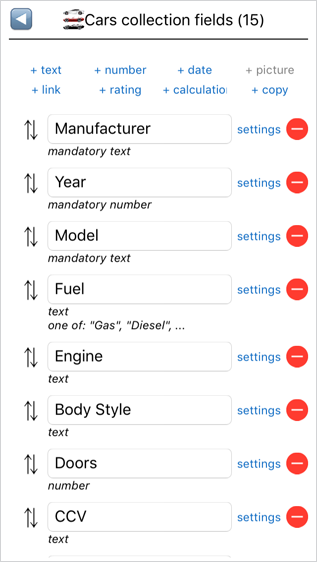 Start with one of the built-in templates and customize it as you go, or create your own from scratch. 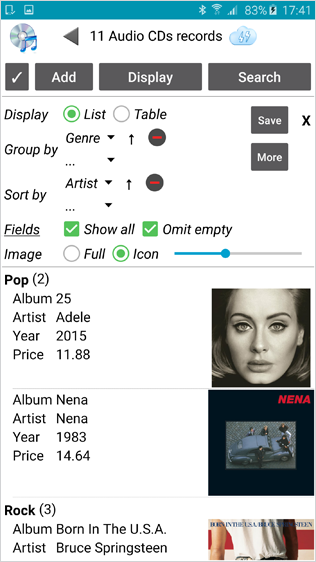 Add as much detail as you want, including photos, descriptions, hyperlinks, information from Wikipedia, and more. Your MyCollections data is safely stored on your phone, tablet, or laptop, so you don’t need to sign up for any cloud services if you don’t want to. 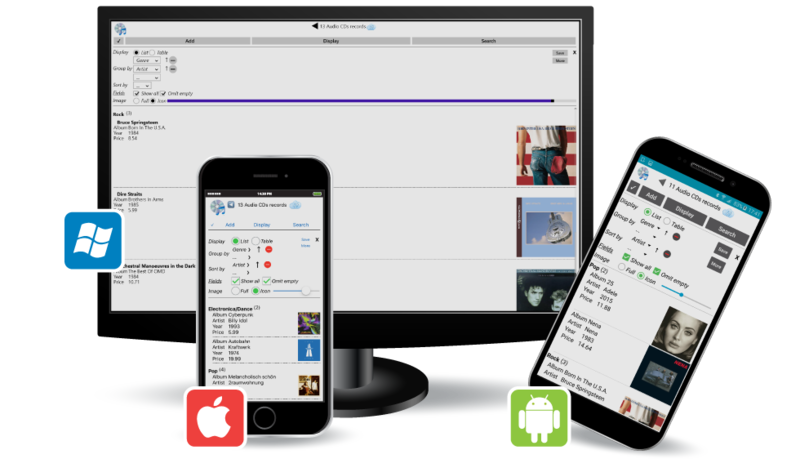 However, if you’d like to share your data between multiple devices, MyCollections includes free cloud-based synchronization! That’s right – you can get your MyCollections data on any device. For instance, you might utilize the Windows 10 app for entering your collection information initially, and then view and modify it any time on you iPhone or Android phone. 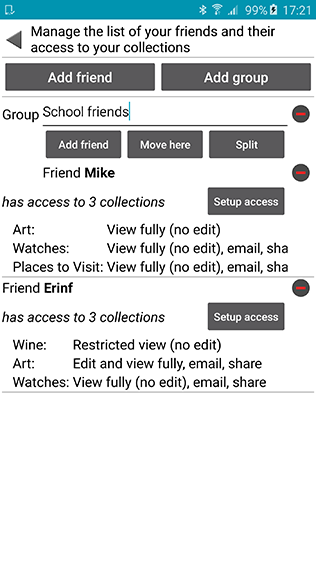 When it’s time to share, you can add friends and give them access to view and/or edit one or more of your collections. 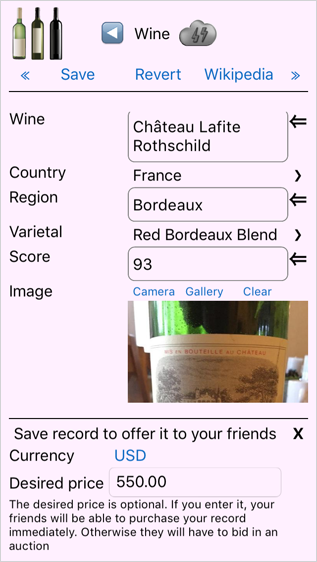 It’s easy to manage exactly which records and which details your friends can access, with fine-grained control over the information friends can view or search for in each collection. 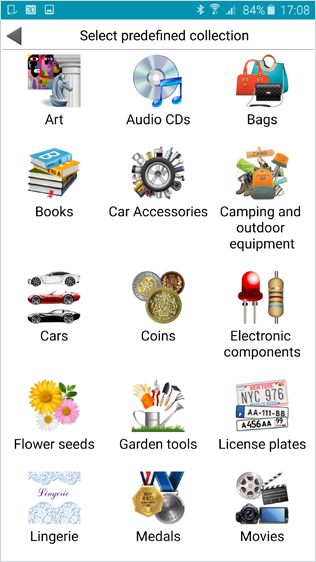 You can also share collection items via email, Facebook, Twitter, etc., with the tap of a button. MyCollections makes it easy to keep track of items you lend to friends, and even set due dates for their return. 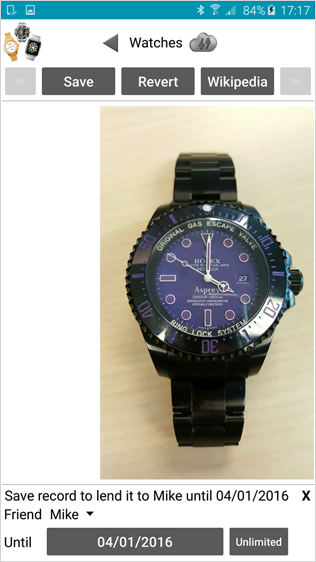 You can even let friends know which items you’re willing to sell, as well as your asking price! 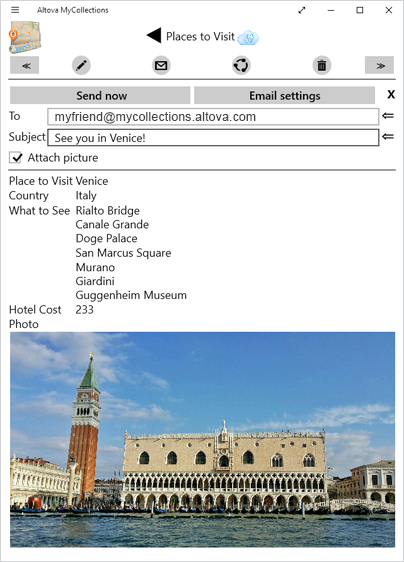 The MyCollections app for iOS, Android, Windows Phone, and Windows 8 & 10 was built with Altova MobileTogether, the most sophisticated and cost effective framework for developing data-centric apps for all platforms.